It's official! I have legally changed my name. Per Dennis Svedberg Hellström doesn't exist anymore. Say hello to Dennis Alexis Hellström. I hope you like the new name as much as I do. I removed Per because I never really liked it and I removed Svedberg because it's the name of my estranged father. 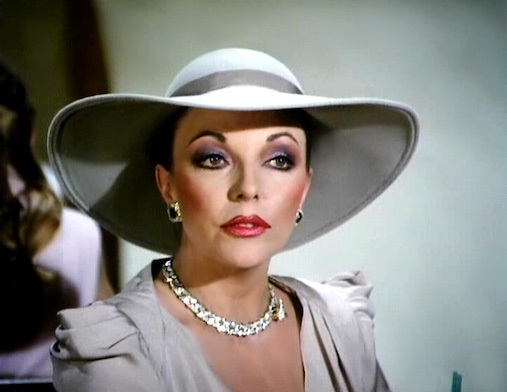 As you might have figured, I've taken the name Alexis from my idol Joan Collins' "Dynasty" character Alexis Carrington Colby. I'm sure it will at least annoy someone ha ha! So if you want to you can now call me Alexis or Dennis Alexis. But Dennis is fine too. I feel great about this! Please follow me on Facebook, Twitter and YouTube for more news. I don't read reviews, I make up my own mind! Listening to reviewers is like having someone else decide who you should fall in love with.